Hello everybody. I'm off this week and decided to do something constructive. 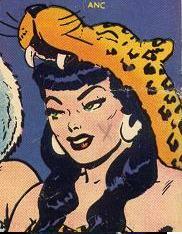 I don't know what other threads are devoted to Ace Comics? 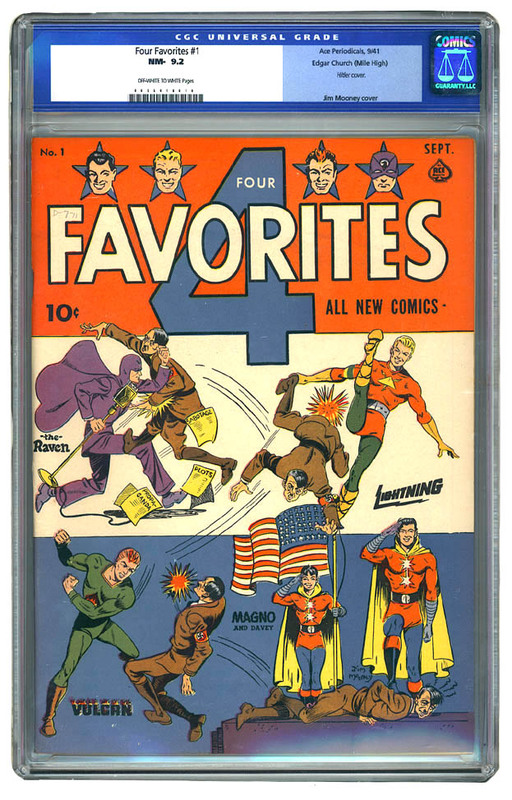 Sit back and enjoy a couple of tales from the scarce Four Favorites # 10. The Unknown Soldier is temporarily missing a page. A lot of you guys might skim right past this horrific cover in the Photo Journal A young Kurtzman thrills the kids with the Clown vs. Magno and Davey. 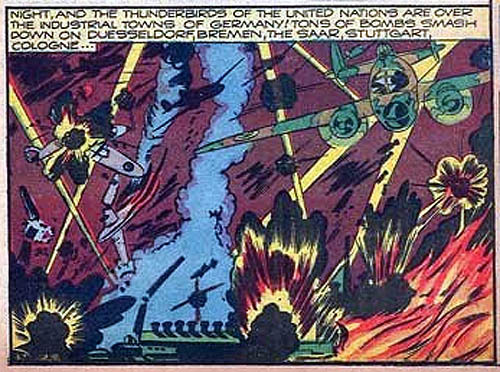 The Unknown Soldier is like the Spectre meets Captain America... and then some. See for yourself! Page 8 from Unknown Soldier story is missing. I can't fix until I get my scanner. Sorry folks! Location: Bathing in virtuous purity. 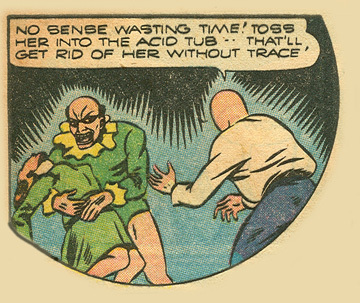 I'm really looking for scans of articles, related to Ace Comics, from early 60's fanzines. There has to be a few out there. Wow that's a pretty graphic cover, makes the Human Torch #12 look like a warm up. Never saw that book before. 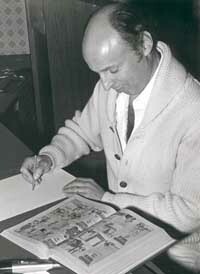 Kurtzman's early days. They're great! Well, so were his later days too. Rare example of golden age advertisement. 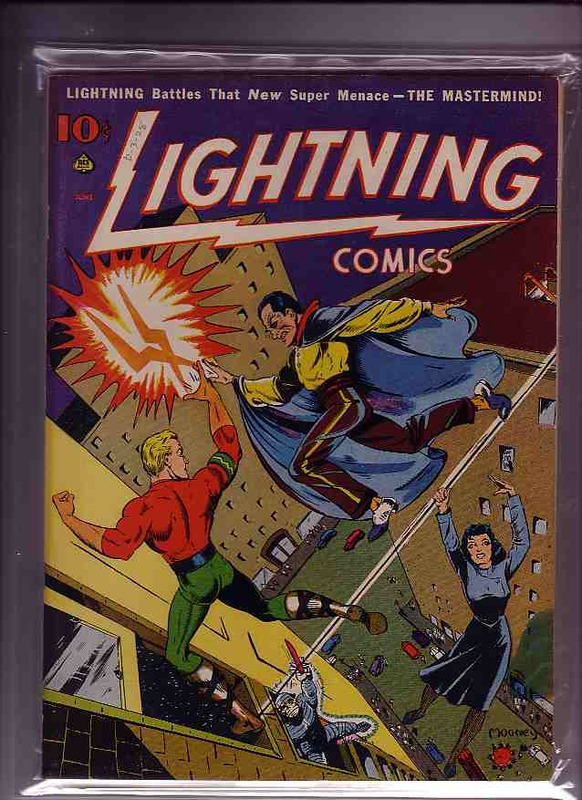 The Atom-Age book United States Marines #8 has a similar cover. Brutal cover! I always skimmed by it too! I found this book recently...I didn't know much about it's history. I've only flipped through it...looks like I need to give it a closer read after seeing the previous posts. Here's the Mile High copy of # 1! It'd be my luck if that's your Mile High book too. The attraction in this story for me is the inclusion of Civil War vets. The story is supposed to take place some 75 years after the end of the civil war. Assuming those soldiers were in the military at 15 or younger, they still should be in their late 80's or early 90's. Those Gestapo guys get beat up by nonagenarians! For your info, Walter Williams, officially recognized as the last survivor of the 4 million who fought in the Civil War, died on December 19, 1959 at 117 years old. He served as forage master for a Confederate cavalry company. The last survivor of the Union Army was Albert Woolson. He died on August 2, 1956 at the age of 109. This topic is of particular interest since recently on NPR there was a feature about the last few remaining Civil War widows resulting from older Civil War vets marrying young girls in the late 20’s and 30’s so they could take care of them in all “propriety”. For example, Maudie Celia Hopkins, 89 (in 2004), of Lexa, Ark., was the teenage bride of William M. Cantrell, a Confederate veteran, who was 86 on their wedding day in 1934. I can't afford to collect another publisher! Okay, apparently the guys in quality control missed this, so Scrooge gets my first "No Prize"
My scanner is broke and until I get a new one, let your imagination soar. Sidenote: My copy of Four Favorites 10 is so brittle that it split down the spine and every page flecks and crumbles with each touch. I bought it off of eBay four years ago. I very gently opened to the centerfold and it cracked in half... like Moses parting the sea. The attraction in this story for me is the inclusion of Civil War vets. The story is supposed to take place some 75 years after the end of the civil war. Assuming those soldiers were in the military at 15 or younger, they still should be in their late 80's or early 90's. I also found that to be a real hoot, sonny boy! There's probably still a few Johnny Rebs runnin' in them thar hills. Any new ACE stuff out there? It's old so not sure it counts.